Think you may have bed bugs? We’re here to help. 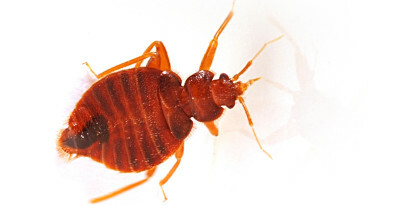 Northwest has a dedicated team of experts that specialize in the treatment of bed bugs. Since every case is unique, contact us today for more information. Our highly-trained representatives will perform an in-depth inspection of your home, identify areas of infestation, and then provide you with a treatment plan that will work to eliminate bed bugs from your home and prevent them from coming back. "I had Jody Millard for 3 years now, and they have been excellent. They have never missed an appointment. I would recommend to anyone needing home pest control service." "We had a problem with some carpenter ants in our house and the techs at Jody Millard worked with us to resolve it. They did a great job and were very professional." "I can't express enough how awesome these guys are. Unlike most companies in this industry they are very honest about what you have or don't have. A local company with the support of a larger structure they use green pest procedures. This was very important to me and my dogs. Please please please call these guys if you have any nagging issues." "Mark with Jody Millard Pest Control did the best job with ants at my apartment. Took everything apart and got the ant poison all in the inner workings of my bathtub and shower, where the ants were coming out of. He was really funny and such a nice guy too." Where Do Pests Go In The Winter?